Teachers said they haven’t had a pay raise since 2012, and they last received a bonus in 2013 and that was $200. They have said all the surrounding school districts except Campbell County pay more, and they want to be able to recruit and retain good teachers—and not be a training ground for other districts. Teachers and staff had advocated for a larger 4 percent pay raise. The schools’ request, which also included money for capital projects such as roof repairs and a technology initiative that included so-called 1:1 devices, was the equivalent of a 22-cent tax rate increase. Teachers said it wasn’t clear if the 2 percent raise would help in their quest to recruit and retain. “It’s better than nothing, but we’re still behind,” said Rachel Minardo, president of the Anderson County Education Association. Before the vote, she had pointed out that school systems in Knox County and Maryville and Lenoir City were getting 2 percent raises, and a 3 percent pay raise has been requested in Oak Ridge. There are about 1,050 school employees in Anderson County, including 600 teachers. After the original 10-cent proposal was rejected, Foster advocated for at least an eight-cent increase. County commissioners can’t control how the school system spends its money. But commissioners trusted that the Anderson County Board of Education would use the additional money for pay raises. The eight-cent increase will provide an estimated $697,600 extra for Anderson County Schools, said Jim Woodward, the school system’s chief financial officer. Each penny on the Anderson County property tax rate generates another $152,000. About $89,000 raised by each one-cent increase goes to Anderson County Schools, and some new revenues will also flow to Clinton and Oak Ridge schools. Before commissioners approved the 2 percent pay raise for school and county employees, a few county commissioners said county employees should also receive a raise if school teachers and staff do. “Our county employees are hurting and deserve a raise too,” Anderson County Commissioner Chuck Fritts said. Meanwhile, county officials have learned that the new tax rate certified by the state after five-year reappraisals would have been $2.6903 before the 10-cent increase approved by commissioners during Monday’s meeting. With the increase approved by commissioners, the rate will be $2.7903 in the county outside of city limits. 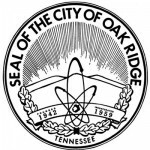 In Oak Ridge, it will be $2.5945, and in Clinton, it will be $2.7589. The tax rate varies because of school debt. The certified tax rate—state officials call it a tax-neutral rate—is up from the current $2.529. That’s because overall property assessments dropped 4 percent in Anderson County in the five-year reappraisals completed this year. The tax-neutral rate brings in the same amount of revenue after a reappraisal as before, so when the overall assessed value goes down, the tax-neutral rate goes up. The 10-cent increase, with 8 cents for the schools and 2 cents for the county, was proposed by Anderson County Commissioner Mark Alderson of District 2, which includes Clinton, North Clinton, and South Clinton. Voting for it were Alderson, Fritts, Chair Robert McKamey, and commissioners Robin Biloski, Jerry Creasey, Myron Iwanski, Steve Mead, Philip Warfield, and Jerry White. “Do we want to keep Anderson County as a training place, or do we want to keep the good ones around?” Mead asked before voting in favor of the proposal. Voting against it were commissioners Steve Emert, Whitey Hitchcock, Tim Isbel, Theresa Scott, and Tracy Wandell. “I’m not voting for a tax increase,” said Wandell, who unsuccessfully proposed using $1.7 million from the $4 million fund balance for a one-time bonus for schools in Anderson County, Clinton, and Oak Ridge. The requested 4 percent raise for Anderson County teachers and staff would have required about $1.6 million. “I think we can fund the teachers with the money we have,” Wandell said, although other commissioners warned about the dangers of using the fund balance. Commissioner Rick Meredith abstained from the vote on the 10-cent tax rate increase. Commissioner Zach Bates was absent. Iwanski opened the series of proposals with one to raise the tax rate by 10 cents for a 2 percent pay raise for the schools. He said big companies are having a harder time finding a skilled workforce, and many companies are looking at the school systems and they want a top-notch system. Some local chambers of commerce, including in Knox County, have supported tax increases, Iwanski said. He said there has been one tax increase in Anderson County in 10 years, and it was for the jail expansion and school buildings, but not for school operations. “It’s been a long time since we’ve stepped up,” Iwanski said. He said a 10-cent increase would cost the owner of a $100,000 home another $25 per year, or about $2 per month. Anderson County teachers and staff said the 8-cent increase gets the school system very close to a 2 percent pay raise, but there could still be some cuts, although not in staff. For example, the cuts could be to clubs, services, or related arts such as music and art, they said. Williams is a librarian at Lake City Elementary School and teacher leader organizer for the ACEA. After the budget was adopted, commissioners voted to give pay raises above the 2 percent threshold to Veterans Service Officer Leon Jaquet and his assistant, two employees in Law Director Jay Yeager’s office, and to longtime County Commission Chief Deputy Mary Murphy. The County Commission will have a special meeting at 6:30 p.m. Thursday, July 30, in Room 312 of the Anderson County Courthouse in Clinton to have a public hearing on the new tax rate and adopt it.